Today we feature one of the best tracks by The Prodigy, that is Breathe, from their 1997 album The Fat of the Land. In my opinion one of the best electronic tracks ever. Why shouldn't a DJ be considered a musician? We usually hear that many people that aren't in the electronic scene say that a DJ isn't a musician, that he doesn't actually 'play' music. Some say that electronic music is not real music, but let's not focus on this now. So, let's compare what a typical musician does and what a dj does. So by only switching words we get more or less the same thing. The only one that can be difficult to explain is the second point. Let's think about it a bit metaphysically. Do you see any difference? I don't. So it's just a metaphysical argument? I think so. 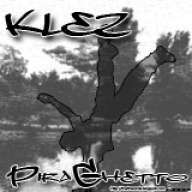 First release for Theft Records, by its founder: klez. These tracks were made for a breakdance show for some friends, and is named after the park were that show took place (Piraghetto Park, in Mestre (Venice - Italy). There should have been a fourth track, but it contained samples from a Daft Punk song (Technologic). The tracks' styles are very different. PiraGhetto is a hard breackbeat song, reminescent of some Bomfunk MCs' track. Then we have Get Into The Groove, more calm but still very electronic. Finally, Do Your Dirty Dance is more geared towards BigBeat, somewhat Prodigy-style. Last night Theft Records was born! It's a new electronic music netlabel focusing on free culture. And they are accepting submissions. And they also have open positions in other fields, to help the netlabel grow. This is the first post about the electronic music classics I love. Indaba is holding a remix competition. The original track is Take your shirt off by T-Pain. Here you can listen to my remix. And here you an download it (license: Creative Commons Non-Commercial 3.0 license, http://creativecommons.org/licenses/by-nc/3.0/) . Actually while making this I was very inspired! It took me more or less 4 hours to complete. The remix was done with Ableton Live, and I didn't use any VSTi (because I recently had to change my broken hard drive, and yes, I lost 100 GB of stuff...), just (free) samples and the original song's stems. Ok, so now I also have a blog. What will you find here? Mainly my releases, updates on my activity, events I will attend and some review about music, gear and other stuff. klez is a DJ and electronic music producer, ranging from breakbeat to techno. This blog features his releases, gigs, articles and thoughts.